Please contact the facilities to check which activities are offering and their timetables. Please have a look to the Heated Pools in North Yorkshire swimmers like you've reported. Is your pool not listed? Contact us to ADD IT. It is free! The greatest pools to swim are certainly indoor olympic pools. Swimia.com needs your feedback to ensure all the data is valid, since maybe this pool is no longer open to the public. Looking for Swimming Pools? Many of them belong to gyms or sport centers which also supply lessons. Please check the nearest Heated Pools in North Yorkshire or Contact us to ADD IT. It's free of charge! It's difficult to visit North Yorkshire without dropping by Northallerton (with 16.480 residents). Currently Swimia is showing you all the Pool in Northallerton and the closest pools located in its vicinity. Let us tell you a secret to switch off while you might be in Ripon: just pick a Swimming Pool in Ripon and plunge into the water! There's no even more powerful technique. Swimming is a excellent thought to keep your body active during your visit to Selby (North Yorkshire), or even should you be a local. Swimia assists you to locate your closest Swimming Pool in Selby. Without a shadow of a doubt, swimming in Harrogate is the ideal method to unwind following work. 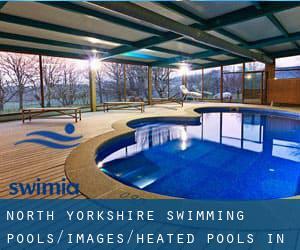 Take a couple of minutes to browse Swimia's catalog to find a Pool in Harrogate. Holding an estimated population of 14.740, Knaresborough is one of the most important cities in North Yorkshire. Check all the Swimming Pool in Knaresborough and its surrounding area. Updated on 2019 Park Street , Ripon , England , UNITED KINGDOM (Postal Code: HG4 2BD). Among all the activities offered by the center, in case you are interested in swimming you will take pleasure in 25 yards x 30 feet, 4 lanes, 1 meters - 2.3 meters depth, 1 meters - 2.3 meters depth, Indoors. If you need to contact this Swimming Pool, email address and phone number are both number. Westgate , Tadcaster , England , UNITED KINGDOM (Postal Code: LS24 9AB). This sports center gives 25 meters x 13 meters, 6 lanes, Indoors. Contact information for this Swimming Pool such as phone number and email address are number. West Cliff , Whitby , England , UNITED KINGDOM (Postal Code: YO21 3HT). Among all the activities offered by the center, should you be enthusiastic about swimming you will take pleasure in 25 meters, 5 lanes, Indoors. Just in case you would like to get in touch with this Swimming Pool just before dropping by, we only know the phone number. Updated on 2019 On the campus of Nidderdale High School & Community College , Low Wath Road , Pateley Bridge , England , UNITED KINGDOM (Postal Code: HG3 1HL). Among all the activities offered by the center, in case you are considering swimming you will delight in 20 meters x 8 meters, 4 lanes, Indoors. If you need to contact this Swimming Pool, email address and phone number are both number. Hornbeam Park, Hookstone Road , Harrogate , England , UNITED KINGDOM (Postal Code: HG2 8QT). This sports center provides 20 meters x 9 meters, Indoors. For this Swimming Pool, only phone number is number here. St Martin´s Ampleforth School , Gilling Castle , Gilling East , England , UNITED KINGDOM (Postal Code: YO62 4HP). Among all the activities offered by the center, if you are considering swimming you will enjoy 25 meters, 6 lanes, Indoors. Just in case you want to contact this Swimming Pool before dropping by, we only know the phone number. Updated on 2019 Jennyfield Drive , Harrogate , England , UNITED KINGDOM (Postal Code: HG3 2XQ). Among all the activities offered by the center, for anyone who is interested in swimming you may appreciate 25 meters, 8 lanes, Indoors. If you need to contact this Swimming Pool, email address and phone number are both number. Updated on 2019 Spa Lane , Starbeck , Harrogate , England , UNITED KINGDOM (Postal Code: HG2 7JF). This sports center provides 18 meters, Indoors. Contact information for this Swimming Pool such as phone number and email address are number. Firby Road , Bedale , England , UNITED KINGDOM (Postal Code: DL8 2AT). Swimmers like you reported 25 meters x 10 meters, 4 lanes, 1 meters - 2 meters depth, 1 meters - 2 meters depth, Indoors. Phone number and e-mail address are number for this Swimming Pool. Gargrave Road , Aireville Park , Skipton , England , UNITED KINGDOM (Postal Code: BD23 1UD). This sports center offers 25 meters, 6 lanes, Indoors. Contact information for this Swimming Pool for example phone number and email address are number. Kendal Road , Giggleswick , Settle , England , UNITED KINGDOM (Postal Code: BD24 0BU). Among all the activities offered by the center, if you are considering swimming you are going to enjoy 20 meters x 7 meters, 3 lanes, 1 meters - 2 meters depth, 1 meters - 2 meters depth, Indoors. If you need to make contact with this Swimming Pool, email address and phone number are both number. Next to Allertonshire School , Northallerton , England , UNITED KINGDOM (Postal Code: DL6 2UZ). Among all the activities supplied by the center, if you are keen on swimming you can expect to get pleasure from 25 meters, 4 lanes, Indoors. Just in case you need to contact this Swimming Pool just before dropping by, we only know the phone number. Chapel Street , Thirsk , England , UNITED KINGDOM (Postal Code: YO7 1LU). Among all of the activities offered by the center, for anybody who is interested in swimming you may get pleasure from 25 meters x 10 meters, 4 lanes, 1 meters - 2.15 meters depth, 1 meters - 2.15 meters depth, Indoors. Just in case you want to contact this Pool prior to dropping by, we only know the phone number. Updated on 2019 King James Road , Knaresborough , England , UNITED KINGDOM (Postal Code: HG5 8EB). Few days ago a regular user of this center told us they offer 25 meters x 8 meters, 4 lanes, 0.9 meters - 1.8 meters depth, 0.9 meters - 1.8 meters depth, Indoors. Furthermore, they keep in good conditions 19 meters x 9 meters, Indoors. For this Swimming Pool, only phone number is number here. Church Street , Norton , Malton , England , UNITED KINGDOM (Postal Code: YO17 9HP). Among all the activities offered by the center, in case you are considering swimming you will delight in 25 meters x 8.5 meters, Indoors. If you need to contact this Swimming Pool, email address and phone number are both number.